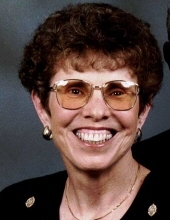 Joyce Nell Jones, age 77, of Miller, Missouri, passed away at 7:37 a.m. on Saturday, January 12, 2019, at the Mt. Vernon Place Care Center. She was born July 25, 1941, in Miller, the daughter of the late Don and Beulah (Jones) Washam. Joyce was a 1959 graduate of Miller High School and was a clerk for the MFA Grocery Store in Miller, and a member of the Miller Christian Church. On June 25, 1961, she married Charles Robert “Bob” Jones, in Miller. Joyce is survived by her husband of 57 years, Bob; one daughter, Janell Ray and her husband, Larry of Mt. Vernon; one son, Jaymie Jones and his wife, Ronda of Mt. Vernon; four grandchildren, Brittany Hinshaw and her husband, Adam, of La Russell, Missouri, Brian Jones, Cameron Ray and Teah Ray, all of Mt. Vernon; two great-grandchildren, Ceighley and Daman; two sisters, Donna Bowman and her husband, Jerry, of Raytown, Missouri and Kaye Leeper and her husband, Wayne, of Hot Springs Village, Arkansas; one brother, Joe Washam and his wife, Darlene, of Miller. A funeral service, under the direction of the Morris-Leiman-Mosher Funeral Home, in Miller will be held at 2:00 p.m. on Friday, January 18, 2019, at the Miller Christian Church. Burial will follow at the Sycamore Cemetery. Visitation will be held from 6:00-8:00 p.m. on Thursday, January 17, 2019, in the funeral home chapel. Memorial donations may be made payable to the Alzheimer’s Association, in care of the funeral home, PO Box 108, Miller, Missouri 65707. To plant a tree in memory of Joyce Jones, please visit our Tribute Store. Memorial donations may be made payable to the Alzheimer's Association, in care of the funeral home. "Email Address" would like to share the life celebration of Joyce Jones. Click on the "link" to go to share a favorite memory or leave a condolence message for the family.